We all hope that when the time comes, our managers will do the “right thing” and give us a raise (without our needing to ask for it). In reality, however, this is often wishful thinking. As such we need to proactively protect ourselves and take remuneration negotiations into our own hands. While the conversation may still be difficult, below are ten steps to making it more palatable and productive: for both you and your manager. Tailor your approach – depending on how long you have worked with your manager, you should know his/her interests, needs and goals. If you don’t, try talking to a trusted colleague who knows your manager better and get an understanding of what is likely to get the best response. Pitching your raise request in accordance with your manager’s needs increases the chances of a successful outcome. Choose the right time – Contrary to popular belief, there is a good time to ask for more money. Most people wait to have the remuneration discussion at review time, when managers are typically: inundated with similar requests, restricted by end of year budgetary constraints, and focused on your “problem areas” in need of professional development. Instead, initiate the conversation hot-on-the-heels of a clear and undeniable professional success (e.g. completing a project or exceeding a target). Choosing the appropriate time, gives your request legitimacy. Make a list – Asking for a raise is about doing MORE than what is asked of you, it is about doing something EXTRA. Therefore, you should go to the meeting armed with a list of the ways in which you have personally added value and made a difference to the organization. Include absolutely everything that you can think of and then prioritize them in order of weight to support your request. Get the facts and figures – Gather evidence that supports your list of personal value-adds. Compile the results of the projects completed or measures you have implemented, emails evidencing praise from others in the organization, customer testimonials – whatever you need to demonstrate your value and contribution. Be informed on the salaries of comparable roles both in your organization and industry-wide. This will assist you in tying the figure you request to a verifiable norm as opposed to a pie-in-the-sky figure. Websites such as PayScale and GlassDoor may be helpful in establishing these market norms. Practice makes perfect – Once you have done all of the background work, it’s time to practice! Try “playing it out” with a trusted friend or partner. If this doesn’t feel comfortable, you can record it on your phone or do it in front of the mirror. It is important to become comfortable with the words coming out of your mouth. Try to think about what your manager might say and practice responding to his/her hypothetical comments. Practice will make the actual conversation much more fluid, as the substance will flow more quickly in the face of anxiety. Resist your instincts (avoid complaints and ultimatums) – When you sense push back from your manager, you may be tempted to respond with threats of resignation, illicit knowledge of your colleagues’ pay and/or complaints regarding your (heavy) workload. Avoid these impulses as they create an adversarial environment in which your manager will be defensive and far less likely to grant your request. To avoid this, continue to build credibility in the conversation by tying your request back to the data you obtained and your list of value-adds. Stay calm and collaborate – Asking for a raise can be a highly emotional experience as remuneration is closely linked with your sense of self worth and self-esteem. To prevent emotions from taking over, try to imagine that you and your manager are on the same team. Try to come up with some mutually beneficial solutions with your manager and be responsive to any needs/issues that s/he raises. The deal you strike should be flexible and fluid, walking in with a list of demands is not helpful. 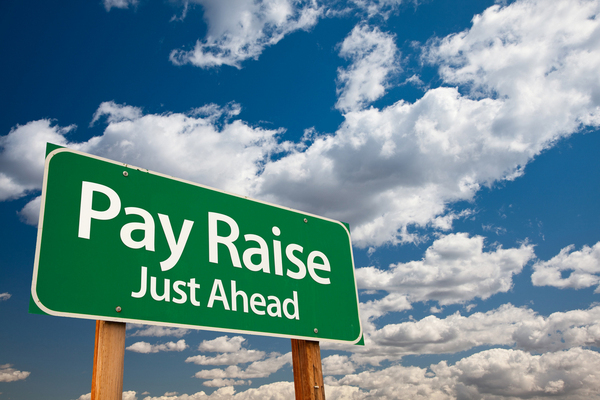 Pitch the raise as step towards creating a future – A raise is likely to result in renewed commitment to both your manager and the organization. Remind your manager of this fact. Use the conversation as a segue into your hopes and dreams for the future (specifically those that will benefit the organization and your manager) and create an action plan in which you are both invested. Preserve the relationship and be inquisitive – The point of having this conversation is to set yourself up for the future, not to take a step backwards. Accordingly, every move that you make in the negotiation should continue to build your credibility (even if your request is not granted). If you are rejected, ask your manager to spend some time explaining why and to expressly set out what is required of you in order to be eligible for the raise at a later time. Consider whether there is something that you need from your manager to be in a position where you are outperforming in your role (for example, a greater budget or additional staff). Be creative and have a back up plan – If your request is declined, make sure you have back up plan. In lieu of a raise, consider a package of options that are of low cost to the organization but high value to you. For example, extra vacation time, stock options or more a flexible working arrangement. You may be able to “repackage” your request in terms of these alternate options. By following these simple steps, you should be in a much better position to ask for that raise or to renegotiate the terms of your employment. If, after going through the preparation, you don’t feel like you have a strong enough case, keep your notes and plan to revisit the issue when circumstances have changed.